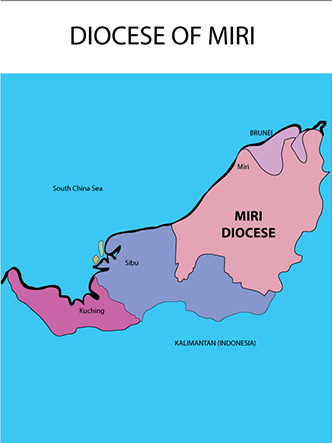 Pope Francis on Oct. 30, 2013 appointed Father Richard Ng as the bishop of Miri diocese. The bishop-elect was born in Kuching, Malaysia in 1966 and was ordained a priest in 1995. He holds a licentiate in sacred scriptures from the Biblicum, Rome, and has served in a number of roles, including parish vicar of the cathedral of Kuching, lecturer in sacred scriptures in the major seminary of Kuching, and director of the archdiocesan Commission for Social Communications. He is currently rector of the major seminary of Kuching. He succeeds Bishop Anthony Lee Kok Hin, who resigned upon reaching the canonical age limit of 75 years.